A loophole in the Kenya Rugby Union Constitution which does not provide for a selection of national team players could be cause of the free fall by the national seven-a-side team. In a nutshell, it is this loophole which was used to handpick the seven-a-side players who went to Gold Coast and reached the Shield final! As if this was not enough, the same loophole was used to ‘dish’ out contracts to players who went to Dubai and reached the? Shield final (again). Two tournaments, the same result. Let me jog your memory. KRU (maybe KRFU) used to have a selection policy and a selection committee which was tasked with identifying players for the national squad at all levels. Whether it was allowed to do this noble duty is a story for another day. That tenure of this selection committee ended and was not renewed. Its’ absence created a vacuum. The duties are now done by each team’s technical bench. But you see, the technical bench are employees of the KRU and are therefore answerable to the various directors. Under such circumstances, a director could therefore be a de facto selector! Indeed, some directors have been using their powers to have some of their favored players in the teams. And, it has been a fragile balancing act because the same directors have favors to return for those who voted for them during the annual general meeting. 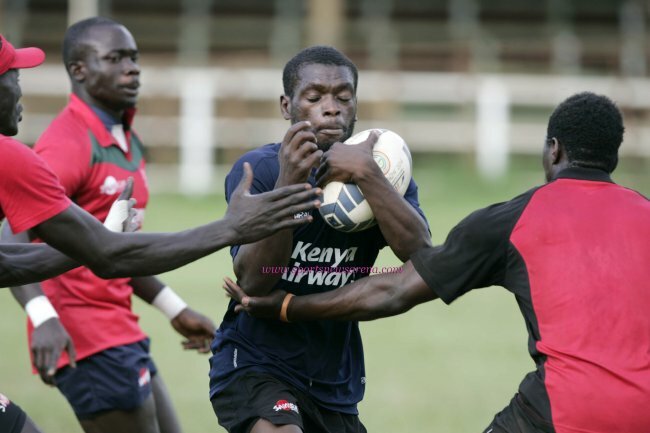 It is this loophole which has landed the Kenya Sevens team where it is. Because, player contracts which were supposed to have been given to players on November 1 were only given to the players “clandestinely” at Ole Sereni on the day of the departure to Dubai. The reason, the list was reportedly still being doctored and we have it on authority that the names of the players to be given the contracts whether deserving or not did not arise from the action on the pitch but a meeting between a clique of KRU Directors. A representative of this clique apparently gave the list to Paul Treu! Remember, Treu, the technical bench and the larger Sevens squad are employees of the KRU which is run by a Board of Directors. A Director from this clique disagreed claiming the selection was done on merit. Collectively, the KRU Board is responsible for the mess because of the actions of some individuals. Dubai has always been a challenging time for Kenya because it coincides with the academic program of most of the players. But, the buck stops at the feet of KRU's doorsteps for allowing such mediocre selection process which is prone to manipulation. Great respect to the players who put their bodies on the line in Gold Coast and Dubai. Great respect to the 18 players who bit the bullet and called for a review of the welfare of all. They may have also contributed to the current state of Kenya 7's rugby but that is another debate. Before the contracts were given out, club chairmen had asked to be given a say. Rightly so because the players come from clubs and are not nurtured by KRU. The request was blatantly ignored! It is obvious that there are club chairmen who are interested in securing posts as Directors in next year’s elections. They say they have the interests of the player’s welfare at heart which is why they sought to have a provision made in the KRU constitution that to be a director, you much have served at some capacity in a club for a specific period. With such a scenario, Kenya may not survive relegation! We are headed there with only two wins in about 10 tournaments! Qualification for the Olympics in Rio may be a struggle if we can only fight for scraps in the Shield competition, the lowest category of the HSBC World Sevens Series. An audit of the KRU is underway and some of the directors are heavily implicated in some unethical deals which could see them banned from rugby administration. An official from World Rugby has been to Ngong Road Secretariat to speak to the KRU about governance and the concern at the ongoings at the office. Some players have may have kept away just to escape the murk and intense rivalry between KRU Directors. Some have given convenient but acceptable excuses so that they are unavailable for selection while in the real sense, they are voting with their feet. Two players, Oscar Ouma and Horace Otieno have since flown to Sri Lanka where they have good money while their colleagues have been subjected to a pay cut by as much as Sh50,000 from the “new” contract! Two senior players declined to sign the contract. Is it possible we could soon be exporting seven-a-side rugby players? The sponsors and fans are unhappy. Even the staunch fans who alleged SNA was anti KRU. This is the scenario and it could get worse..probably the Cricket way! KRU Directors are just happy that under our stewardship, we sunk the ship. Killed the goose which laid the golden egg!